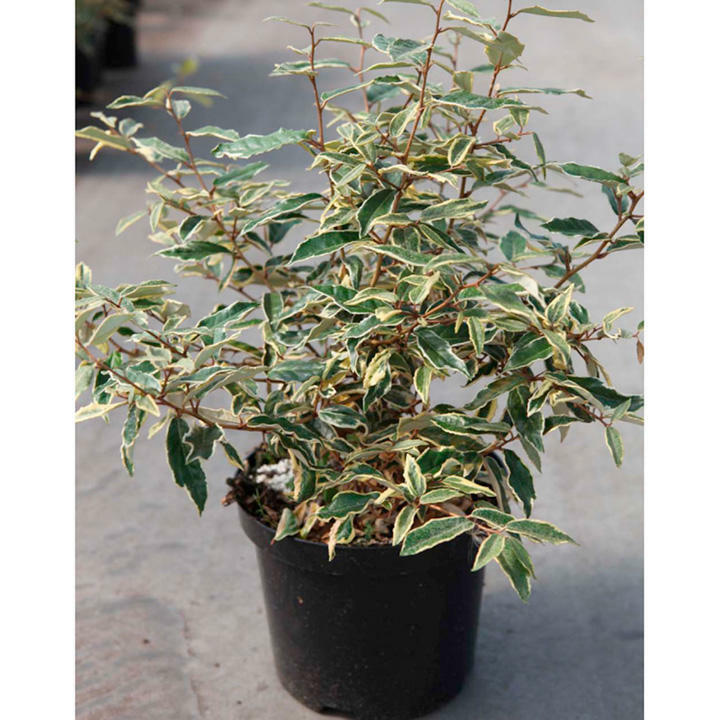 Elaeagnus pungens 'Hosoba-fukurin' is a fast-growing evergreen shrub with spreading habit and variegated shiny foliage of creamy yellow and green. 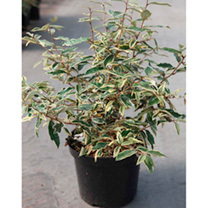 Flowers are white and intensely fragrant and appear in autumn. Height 200-250cm.